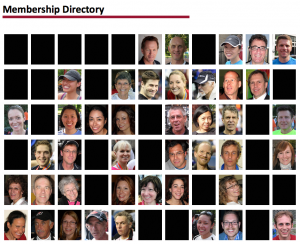 Check-out the updated Membership Directory on our website. Try and see if you can find yourself in the mosaic of Longboat images! Tomorrow will be the last workout this season at the Poplar Plains Rd. hill. Meet at the corner of Cottingham and Poplar Plains at 6:15 p.m. having already run at least 3 km. Unfortunately, I will not be there but you know the drill. Tomorrow’s workout is 3 x three 90 second hills at marathon pace. Run the loop that includes Poplar Plains, Clarendon, Russell Hill, Boulton and Cottingham between sets. Have fun!!! Longboat Roadrunners are pleased to host the 2013 5 km Cross-Country event at Riverdale Park. Note, this event will take place in lieu of the Wednesday night run. Please reply ASAP to the e-vite that our Social Coordinator, Gina Wong, sent or e-mail her at social@longboatroadrunners.com if you’d like to participate or volunteer. We’d appreciate it if you could reply by end of today (September 8, 2013) as we need to confirm the numbers with the restaurant. This year’s course will be modified, but is still challenging and fun nonetheless! Following the event, we will congregate to Red Cranberries Restaurant (601 Parliament Street) for a delicious bowl of chili (vegetarian option is Mac & Cheese)! ***Please let us know if you will be attending BOTH the run and dinner. *** It is absolutely imperative that we have an accurate headcount, so the restaurant can service and have enough food for our group. $10 for grub, please bring cash to the event! The students from Pathway to Education in Winnipeg have requested to run with our group on the Saturday before the race (September 7). I have planned a 3 km and 5 km route for us to run together. For those interested in only doing those distances, you are welcome to join the students for breakfast at the Tim Hortons in their hotel, and to go to the outdoor swimming pool in their hotel (bring your swim gear). For those interested in doing the long run, here is the route (I will then send around various turn-around points). We will meet the group at Carlton and Jarvis at 8:30 am. If you haven’t already, please let me know if you DO plan to join and what distance you plan to run (email: juliana.i.tobon@gmail.com). I don’t think there has been enough interest in brunch so far, but still, let me know if you are interested in brunch after the long run. The 2013 Toronto Island Run is only a few weeks away! In preparation for the big event on September 8th, a duty roster has been prepared that assigns all members to a role for the day. PLEASE check your email to find out your race assignment and to learn more about your assigned role. Everyone is expected to be on the Island early to assist with race set up and everyone is expected to stick around and assist with the tear down. It’s a club event and a group effort! If do don’t have an assigned duty, please contact Dana Ferguson (secretary@longboatroadrunners.com) who is this year’s Volunteer Coordinator.